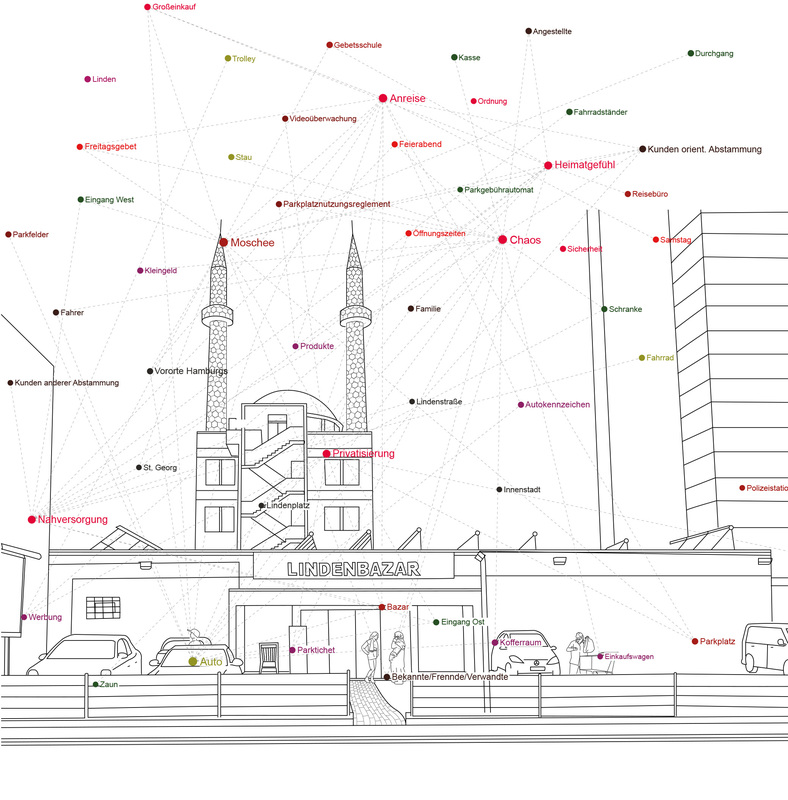 Lindenbazar is a Turkish supermarket, which is attached to the Centrum mosque, located in Hamburg‘s neighbourhood of St.Georg. Starting from the analysis of the built environment and infrastructure, it was possible to read the site and its interrelations. 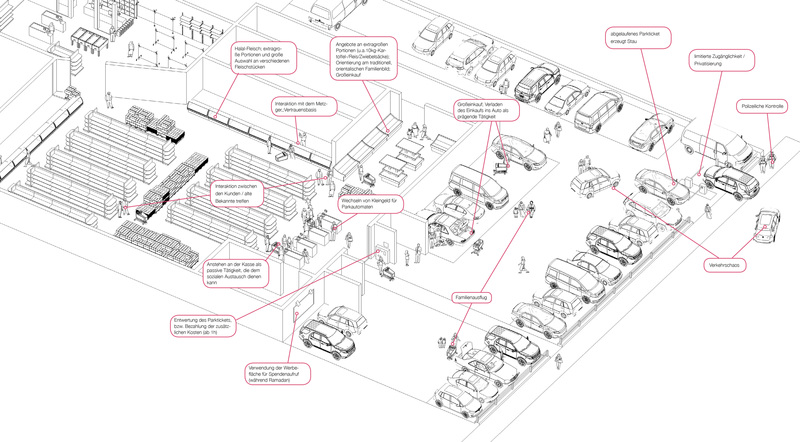 For instance, the assembled facilities such as mosque, supermarket, travel agency, barber shop, praying school, teahouse as well as the adjacent car park are provoking a trans-regional spot for Muslim culture. The hours of prayer contribute a rhythm, which characterises the whole setting. 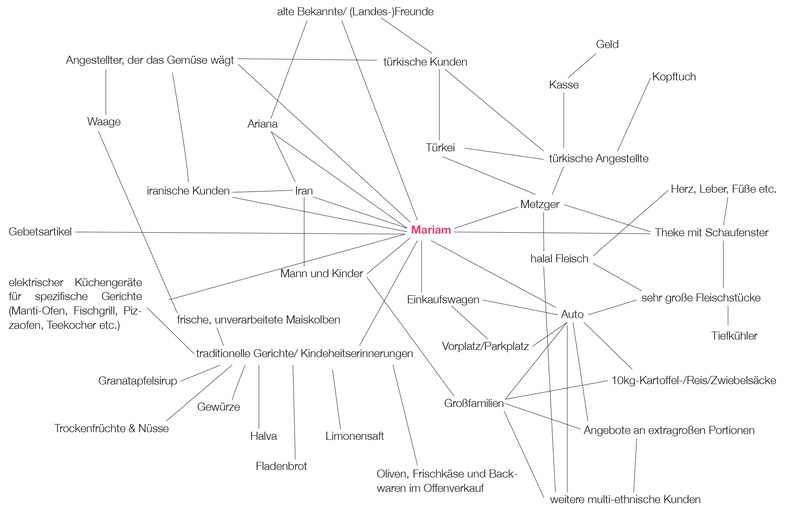 Speaking to an Iranian client called Mariam, it was later possible to understand this world beyond grocery shopping. Lindenbazar is by far more than just a supermarket. 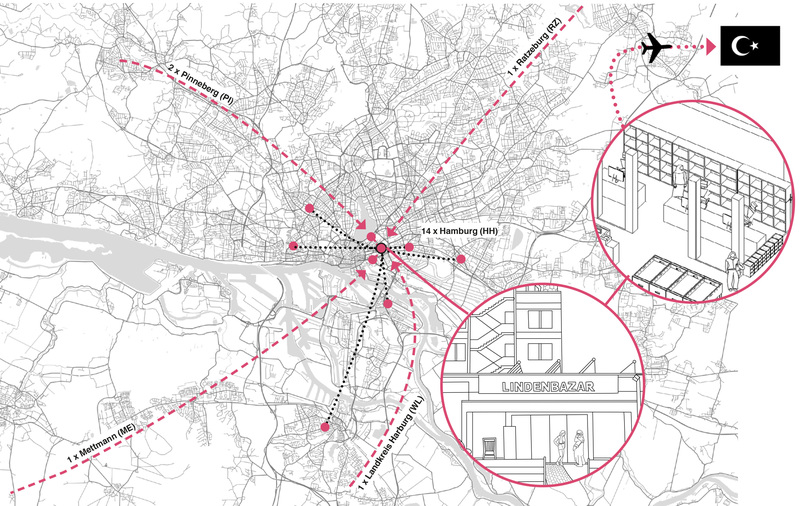 Over the course of the research it transpired that Lindenbazar figures as a hub of Muslim everyday life in Hamburg, integrated into the urban structures of a German city. It is shaped by various practices: It functions as an encounter and enables social interactions. Finally, through its multi-layered setting, it provides (shopping) experiences as known from respective home countries. In the extended context the conglomerate of Lindenbazar, the mosque and the other facilities shed light on the multiplicity of lifestyles, which are congregating in a city. The given case shows how different lifestyles can function side by side, all merged into the urban fabric.